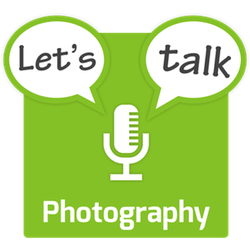 This month Bart continues his on-going series on photographic terms. This time it’s all about focus. Not focus in the art of arting sense, but in the physical optical sense. You’ll often hear it said that a lens focuses light onto a plane, but that’s not quite correct, it focuses light onto many planes! The distance behind the lens where light comes to a focus depends on the distance in front of the lens the light came from. For every plane in front of the lens there’s a plane behind the lens where light from the front plane is in focus, but it’s not one plane behind the lens, it’s infinitely many! When you focus your camera you’re adjusting the distance between lens and the sensor/film plane so that light from your subject comes into focus on the sensor/film plane. when I talk about lenses in this podcast I’ll be imagining a theoretically perfect ideal lens. The reason a physical camera lens you buy is a big long tube containing many pieces of glass is that you need all that glass to come close to achieving a perfect lens when you’re stuck in the real world! Focal length is an inherent property of a lens. It does not change. It’s a measure of how much the lens bends light. Focal length is defined as the distance behind the lens that rays of light that entered the front of the lens parallel to each other will meet. For every position of the sensor/film plane behind the lens there is a distance in front of the lens to the plane that’s focused on the sensor/film. That distance in front of the lens if the focus distance. Infinite focus — when something is infinitely far away, light rays coming form it arrive in parallel. In the real world though, light coming from objects just a few miles away is indistinguishable from light coming from infinity. Once something is far enough away from the lens that the light is indistinguishably close to parallel, it is at infinite focus, and no matter how much further you move that thing away from the lens, it will remain in focus. Real-world limitations — In the real world a camera’s lens can only be moved forward and backwards so much, so that means there are limits to the distances any lens can be focused on. General purpose lenses are engineered such that they can reach infinite focus, so that means there is only one limit on the distance they can focus — they have a closest plane which they can get sharp, or, a closest focus distance. If you want a lens that can focus in really close, you’ll have to sacrifice it reaching all the way to infinite focus, and then you get a lens with a nearest and further focus distance. Generally, the only kinds of lenses for which we can tolerate an inability to reach infinite focus are macro lenses. Mathematically speaking focus plane of any lens is infinitely thin. It is literally a 2D slice of the world that is in focus. We call the distance between the nearest and furthers things (relative to the sensor/film plane) that appear to be in focus the depth of field (or DOF). There is actually a way of mathematically calculating DOF, but it really lives up to its name — the circle of confusion! The size of your sensor/film — the smaller your sensor, the deeper your DOF, hence it being really hard to get nice bokeh on a smartphone without resorting to optical and/or mathematical trickery! The Hyper-focal distance for a lens depends on the sensor size and the focal length of the lens. There are lots of apps out there that allow you to enter you camera and lens combination and then give you the hyper-focal distance for that combination. Manually setting your lens’s focus to the hyper-focal distance can be very useful, particularly in landscape photography where you want as many layers of interest as you can get.